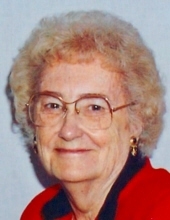 Helen J. (Lips) Pierce, 90, a longtime Concord resident, died at Life Care Center of Nashoba Valley in Littleton on Tuesday, February 5, 2019. She was the wife of the late William J. Pierce who died in 2010. Born in Concord on October 11, 1928, she was the daughter of the late Herman and Elizabeth (Barry) Lips. She graduated from Concord High School in 1947. Early in her life, she was employed at Middlesex Savings Bank. In 1961, Mrs. Pierce began her real estate career at Flagg Hill in West Acton. Beginning in 1962, she worked for Milldam Associates, Inc. in Concord, and subsequently purchased the firm in 1971. She owned and operated the business until 1996, and shortly thereafter, was affiliated with Barrett Realty until her retirement in 2004. She was a certified Real Estate Brokerage Manager, and a member of all state and national real estate associations. She was also a former member of the Concord Quota Club. She will be deeply missed by her children, Margery Bloomer and her husband William of Rutland, VT, John Pierce and his late wife Nancy of Concord, Karen Wallace and her husband David of Littleton, Elaine Meunier and her husband Maurice of Littleton, and Mary Pierce of Littleton, her grandchildren, Matthew Bloomer and his wife Betsy, Kate, Aaron, and Geoffrey Bloomer, Jack and Lisa Pierce, Andrea and Rachel Wallace, William Naylor and his wife Tasha, Monet Proulx and her husband Phillip, and Andre Meunier, her great grandchildren, Tiana, Steysha, Jordan, Kira, Parker, Madeleine, Lucy, Juliette, Zach, Will, and Jake, one sister, Elizabeth Leslie of Concord, and many nieces and nephews. Family and friends may gather for visiting hours on Sunday, February 10th from 2 to 4 pm in the Dee Funeral Home, 27 Bedford Street, Concord Center. Her funeral will be held on Monday, February 11th at 11 am from the Dee Funeral Home, followed by a funeral Mass at 12 pm in Holy Family Parish, Monument Square, Concord Center. Burial will follow at St. Bernard’s Cemetery in Concord. In lieu of flowers, donations in her memory may be made to St. Jude Children's Research Hospital, 501 St. Jude Place, Memphis, TN 38105 (www.stjude.org). "Email Address" would like to share the life celebration of Helen J. Pierce. Click on the "link" to go to share a favorite memory or leave a condolence message for the family.